This is a guest post by Daria, Inbound Marketing Specialist at PromoRepublic. She believes that a well-executed social media strategy can make social your #1 marketing channel. More and more people are shopping on Instagram, and Instagram has become THE GO-TO marketing strategy and marketing tool for eCommerce upstarts. It’s even given rise to a new term: the Instagram Boutique. It’s mobile. It’s visual. It’s a way to show and tell people what they might aspire to own. It’s also competitive. Grabbing the attention of IG users isn’t easy, even for the best brand’s Instagram accounts. 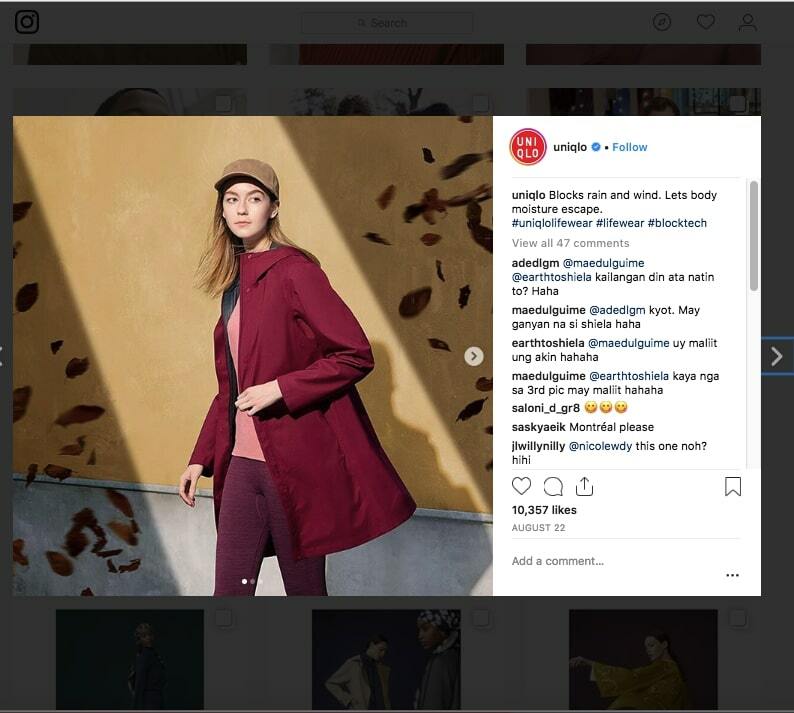 From clothing and accessories to dog leashes, to food and interior staff, many of eCommerce brands are doing their best to get their Instagram posts to stand out amongst the Two-million other advertisers competing for attention on the Instagram feed. Naturally, some eCommerce stores do better than others. Of course, Instagram is about images. More specifically, photo-sharing. This should be obvious, but you have to post high-quality photos. That’s just a prerequisite for any good Instagram eCommerce strategy. Your photos need to catch people’s attention before anything else. First attention, then clicks. 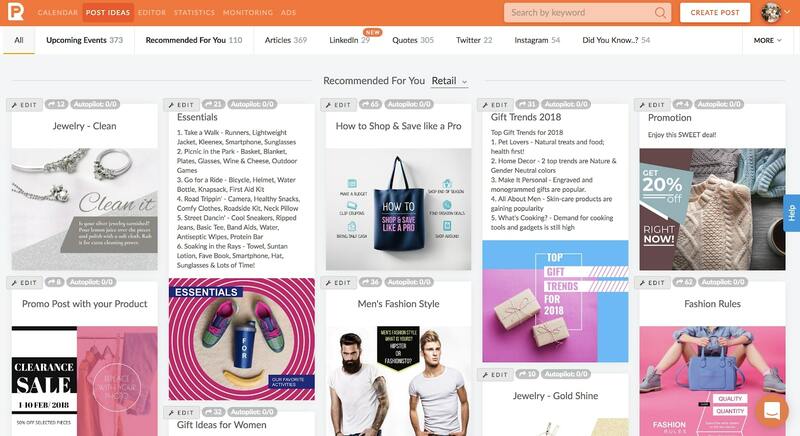 Your feed should feel shoppable, like a store. Here’s an example post from @Uniqlo. Developing a unique artistic style is crucial, it’s the only thing that makes you different. A few lines of the text will be enough to recognize Hemingway. A few minutes of the song—you know it’s Radiohead. The same is true on IG, you have to find your specific style for your IG account which harmoniously will be combined with your items. Sound a bit complicated? It doesn’t have to be. Look how @Komono is playing with every photo line on their page so they look like a well-thought-out picture of modern art. Just a beautiful, great example. What’s brighter is usually better. Sharp images for the win. What the eye can’t see itself is always interesting. In addition, you can use editing tools to put an inspirational quote on your picture or add beautiful colors to your creation, for example. If you’re having a hard time with a choice of what else you can post on Instagram, PromoRepublic will come to the rescue. There you will find a library with ready-to-use post ideas for almost any field. Moreover, you can use a Graphics Editor to change the posts up to your liking. Instagram contests always work well, because they give the hope to get something big with minimum efforts. If to speak without exaggeration and not to give either of you bearing false hope, it’s better to say that contest is aimed to increase the number of subscribers and build brand awareness at first, and only then they will drive sales. It should be said that this is the form of active engagement because the participants are going to do much more than liking. 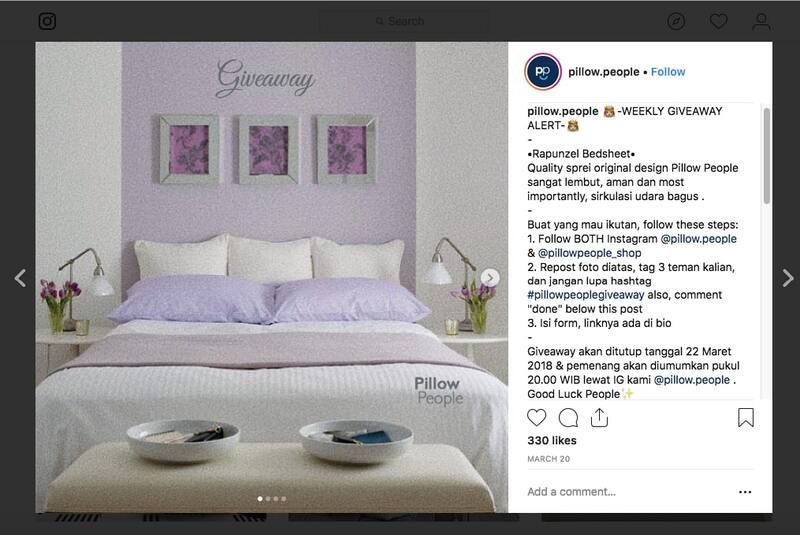 In the case below, you can see an example of how the brand @Pillow.People uses a giveaway contest giving their followers a chance to get a bed set. Liking (when you ask your followers to like your photos to take part in the contest). Commenting (almost the same as liking, but a bit different at all, here you ask your followers to leave a comment below your post). Re-graming (it’s about asking your followers about reposting the image to the personal account or Instagram Stories and tagging your brand). Photo challenging (under these conditions you ask your followers to take their own photos). Mixed (all or almost all conditions mentioned above can be used at once). 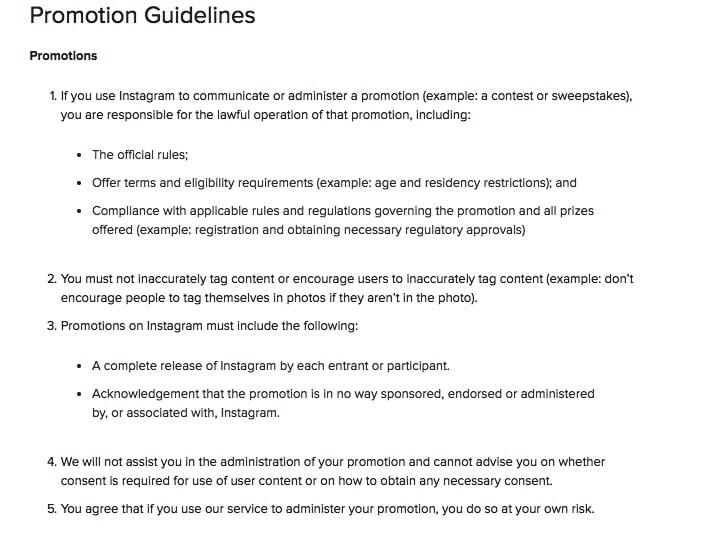 As soon as you decided to run a contest, check out whether it doesn’t violate the rules written in Instagram guidelines to not to be kicked off even though you put time, efforts and money in your contests. Every new comment is an opportunity to learn. Comments show that people like or dislike (no one is perfect) your posts and they are involved. It is very important to respond quickly. No more than 24 hours. Seems like the polite thing to do. 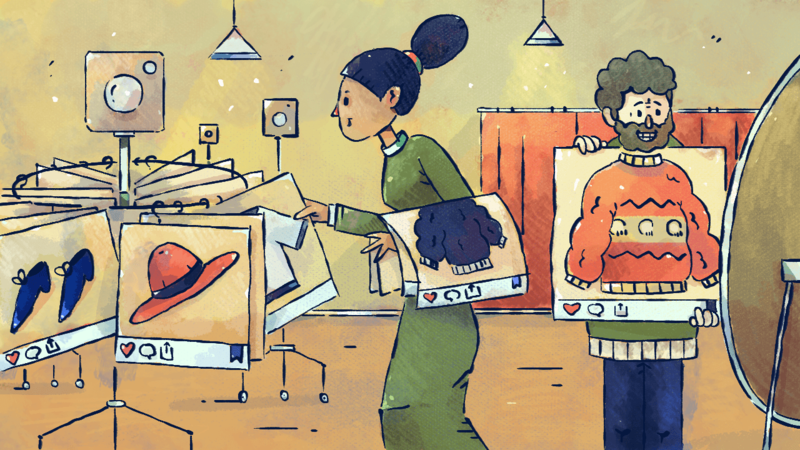 Even if you don’t have a specific material, size, or item which your customer wishes, don’t let the requests go unanswered. 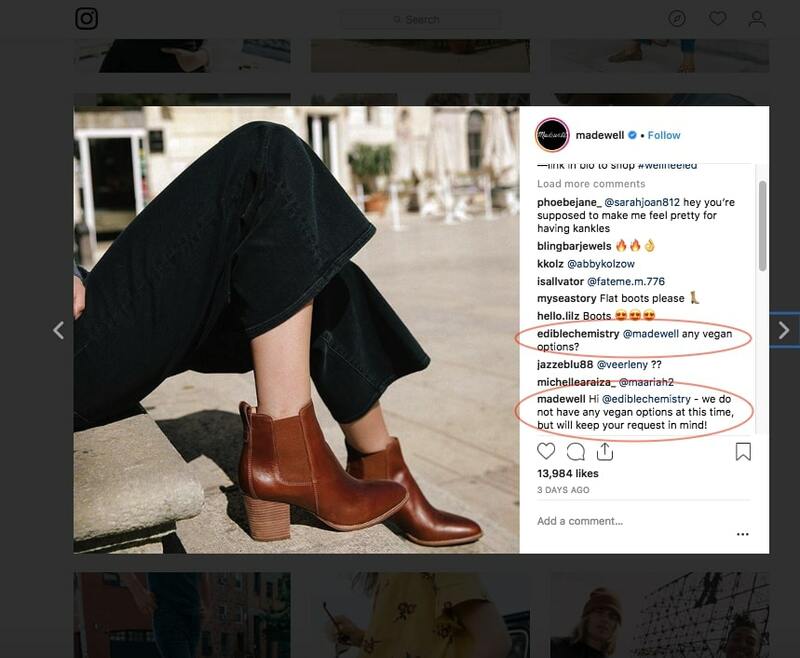 The interaction between @Madewell and another IG user is a classic example of good brand communication on Instagram. Industry insiders call this “community management,” but its just talking to people and interacting with them like the real human beings that they are. As you can see, there’s a pair of ankle boots in a picture (by the way, it’s a great angle, thus colors, light, and shadows here look amazing.) Note that the boots are made of leather. Among emoji in love and ‘wow-comments’ there’s a user interested in the vegan option. Despite a huge amount of emojis, this particular comment got the attention of the store and they responded. Even if it takes a long time, still try to answer all the comments. A hint: If you get so many comments that you just can not physically answer them (you’re done! ), you can always hire a remote assistant who will do this job for you for a reasonable price. Without a link to your store, which is usually in the bio, your followers simply won’t go to your site. Revisit your IG bio. Create an engaging sentence which makes Instagram shoppers stop and think about your brand for a second. @Shopbop uses the imperative tense (“Show us your ‘stylehigh’”) along with a hashtag. The combination not only it gets people to act but builds trust. Even though you can not put direct links under your photos and videos, you can still put URLs and those who are really interested will copy them and insert them into the input line. For this reason, your URLs should be short and easy to read. There is another option to link to your products on Instagram: Instagram Story Links. As soon as Instagram allowed adding direct links into stories, it became the single best place for many businesses and stores to drive traffic from Instagram to their website. By now, Instagram Stories topped more than 300 million daily users. Big numbers, big dreams, and 10-15 seconds to show off your product and convince people to learn more. Before giving a new collection a go, @Marsego always shows it off behind-the-scenes. This way, it kills two birds with one stone. This Marsego story engages with their followers and, the task to fuel their desire to wait for the special order day becomes easier. While some still see in vertical video format the killer of creative work, the others have admitted it and start considering about how to be linked in with this trend. To help with it, Instagram wrote a complete set of tips explaining how to make video stories look beautiful, provided with some notes from top creators. Actually, you’re free to let your imagination flow. Make your stories live and engaging, ask and respond to questions, show a backstage of your business. And don’t forget to add links! Through at first glance, this photo looks simple, but it’s getting people to open up to the brand, to trust it. Why? 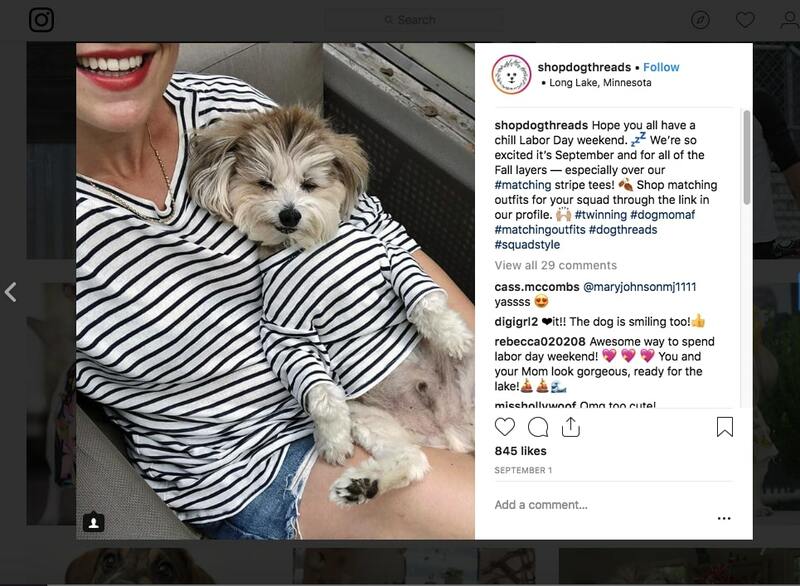 Well, in order to create a sense of identity with their brand, @Dog Threads posts lifestyle photos, which leads people to think how they might look like with their pets wearing your clothes. With this said, lifestyle photos are a huge way to break down barriers and stay relevant to the followers. Lifestyle product photos let the shoppers imagine themselves (or their pets) with your products. Besides, you don’t need a high-end camera to get a high-end image. You can always ask your friends to borrow it or use your tiny favorite device (your phone – hint). User-Generated Content (UGC) is just what it sounds like – this is the type of the content created and gladly shared by your user. It can be a photo, a video, or even a message about your brand. UGC isn’t paid for, but still, it makes the Instagram users your brand advocates in some way. This is what social media marketing is all about! 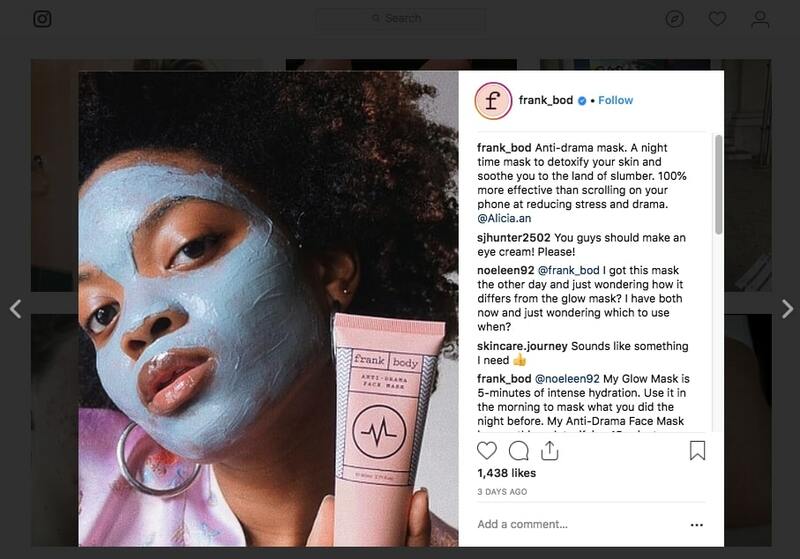 @fraank_bod is a skincare online store shares mostly their user photos, and that makes them so close to the audience. Their audience lathers themselves in coffee scrubs and clay. Their content speaks like a real person. If you want to create a special universe for your brand audience, don’t forget about creating custom branded hashtags. For instance, Frank Body uses #thefrankeffect to encourage its customers to share (and to collect all that UGC in one place). Then cross promote all that user-generated content across Facebook, Twitter, and other social platforms. 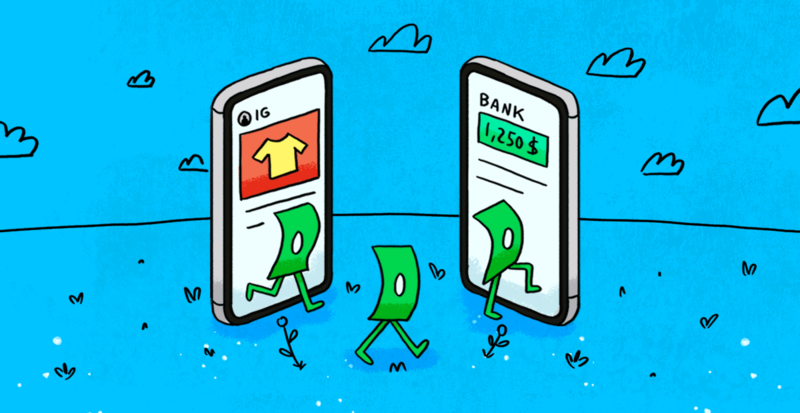 Do you know about Instagram Shopping? Would you Shop your own Instagram Page? When it comes to e-Commerce, there is perhaps no more effective way to raise sales than showing off the product with a photo. The truth is that people love with their eyes. And it’s much easier to absorb the information looking at the image for seconds than reading a product descriptions reminding an essay. That’s why it’s important to balance between a beautiful visual and a short description. 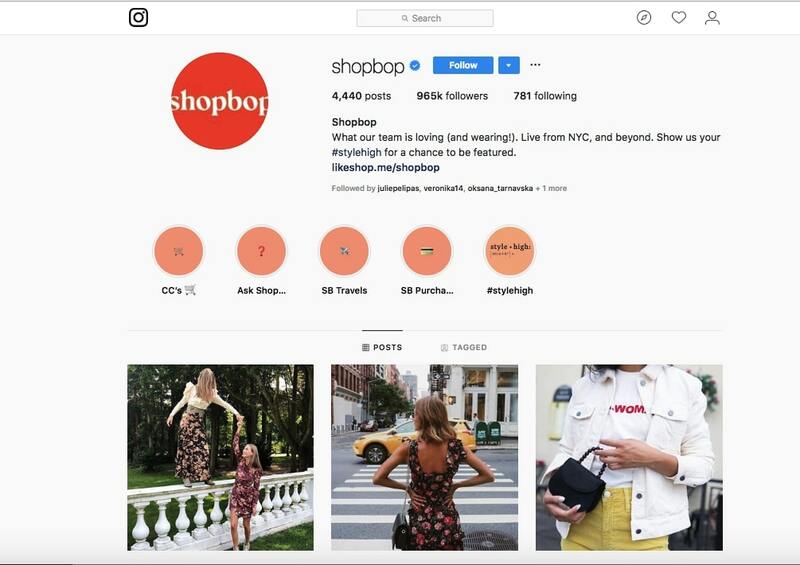 Go ahead and implement the 7 strategies used by these eCommerce stores in your next Instagram marketing campaign. They will surely help you get more followers, build an engaged audience, expand your reach, and thus, generate more sales for your business. And don’t forget to track how your posts are performing and which are the ones that resonated best with your target audience, so you’ll know what and how to make further improvements. 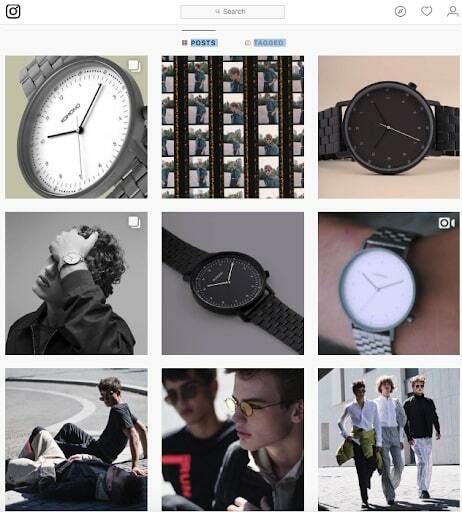 Know more great examples of eCommerce stores with killer Instagram strategies? Share them with us in the comments below!